Get Your Skates On and Get Fit! My girls love to go to the local parks and play. For them to take their bikes, roller skates or scooters is the icing on the cake. It’s nice to spend time together but also great that we get to go out in the open air and get some exercise and also allow them to develop an appreciation of the natural world around them. Many children don’t get anywhere near as much exercise as they should and this is resulting in child obesity figures gradually rising. As I mentioned in my 5 Habits You Should Introduce into Your Daily Routine post my plan was to up my exercise levels by adding as many power walks as possible to my weekly routine. I do these without the children but it’s nice to get some exercise with the little ones too and keep their fitness levels up. I try to take them to the park as often as possible weather permitting and when we get there the girls love to whizz off and leave me behind. With them on wheels it isn’t always easy for me to keep up. I should add that I am not one for running although I can walk pretty fast but I understand there is conflicting evidence as to whether running on hard surfaces causes problems to the body. Fortunately I had one of those light bulb moments and thought maybe I should invest in some wheels of my own to make our time out a bit more fun. Don’t get me wrong I love going out in the fresh air with my girls but when I have to constantly be on top of them as I can’t see them when they zoom off into the distance or around corners it is a pain. Of course I do tell them not to go around corners or too far but they are children and get overly excited and forget and off they whizz yet again. I want to keep going out with them but be able to keep up and maybe challenge them a bit too to add to the enjoyment. The solution to my problem is so simple I don’t know why I didn’t think of it sooner. A scooter or some roller skates / blades would mean I can keep up with the children, race them and work on my fitness too. The only problem is choosing what to get. Of course I’m not going to go just anywhere to get them. I need to use a company that can advise me about their products, that is reasonably priced and has a good trust pilot rating as I plan to get whatever I decided on online rather than going to a store as it is more convenient for me. I do like Skates.co.uk having had a store near me. The last time I visited them they were fantastic and staff were extremely helpful and knowledgeable about products which helped. I am in and out of the house all the time but Skates.co.uk make it super convenient by offering a 1 hour time slot and next day delivery if I want it too. These are available in two colours and are great for those that don’t have the best sense of balance. I like the simple design of the boot and the material used looks like it would be soft and quite comfortable and also provide some ankle support. My girls saw these whilst I was browsing the site and also picked them out as they liked them too. I haven’t skated for years so these seem like a good option as they are great for beginners or those getting back into roller skating and a choice that will also get me moving a fair amount. These are available in both children’s and adults sizes. These also look great. I love the colour and that they offer a lot of ankle support, even more than the quad skates. These too use material that would be soft and they have an “ultra comfort liner”. By the time i had found this my girls had been sent off to do their homework but I am sure they’d have wanted a pair themselves. They look really trendy and very feminine. This comes in two colours, the one shown and a grey and purple option. These too would allow for a good workout and I am sure they would help me raise my heart rate quite fast and get a great workout whilst racing after the children. These are available in children’s sizes and adults up to size 6 which is perfect as that’s my size! These of course would make me look like a super trendy parent, gliding along hopefully pretty gracefully after my girls. 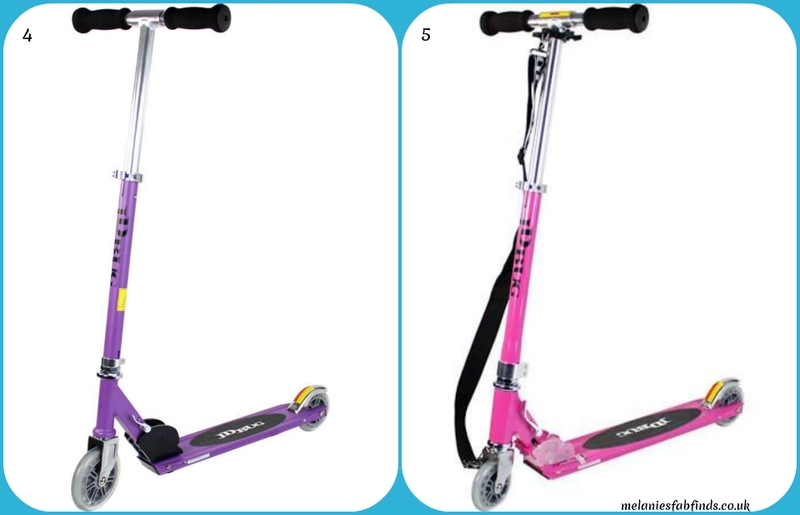 The scooters look great and come in a range of colours including those shown as well as black, silver, red, blue and sky blue. According to the website this scooter is one of the lightest scooters around and it also folds down with one simple movement! The scooter also has a carry strap so if I do decide to walk for a little then I can simply hang it over my shoulder. The handle bar is adjustable to suit a range of heights and the new larger grip tape covers more of the footplate for a more secure, firm, footing ensuring I don’t end up falling on my bottom and embarrassing the kids (and myself). This scooter is very versatile and can be used for children and adults which is handy although don’t tell my girls or they might decide it’s theirs. At moment I am thinking that the blades might be the best bet for me but haven’t quite decided which to go for. I thought it appropriate considering the topic of my post to speak with Skates.co.uk who have kindly said that I can host a giveaway for a lucky reader to win either one of the quad skates, roller skates or scooters I decided to feature in my post, how kind of them. The winner can select from numbers 1,3,4 or 5. There is a possibility of a change of colour if there is an alternative colour for that item in stock. This is a follow up from another post. When I spoke with Skates.co.uk they kindly agreed to offer a prize because they are nice like that. This is not sponsored. Oh wow fab prize! My daughter loves skating so this would be great for her! Good luck Debbie. These skates do look great don’t they. They are great fun aren’t they, they will love blades mine really do. Good luck the scooters look great don’t they. I think the skates and blades would give me more of a workout. That’s true the quads are more stable but the blades look great fun once I get used to using them. That’s such a shame although it must be lovely there. They really do find it fun although might need a bit more practise with the skates / blades. Lol, mine won’t let me use theirs. Lovely giveaway. My kids love their bikes. Need to get them scooters. It’s great to have a few things for them as it encourages the t get out more. Great giveaway! My boys love to scoot but we haven’t tried skating yet, bet they’d love it! It looks like great fun when my girls do it. It’s great to be able to take them out to create these sorts of memories. Ahhh I can’t wait for my boys to be big enough for roller skates!! My eldest seems to be really interested in them at the moment but he needs to get a little bigger first! It is a great way to get some exercise. Brilliant giveaway! 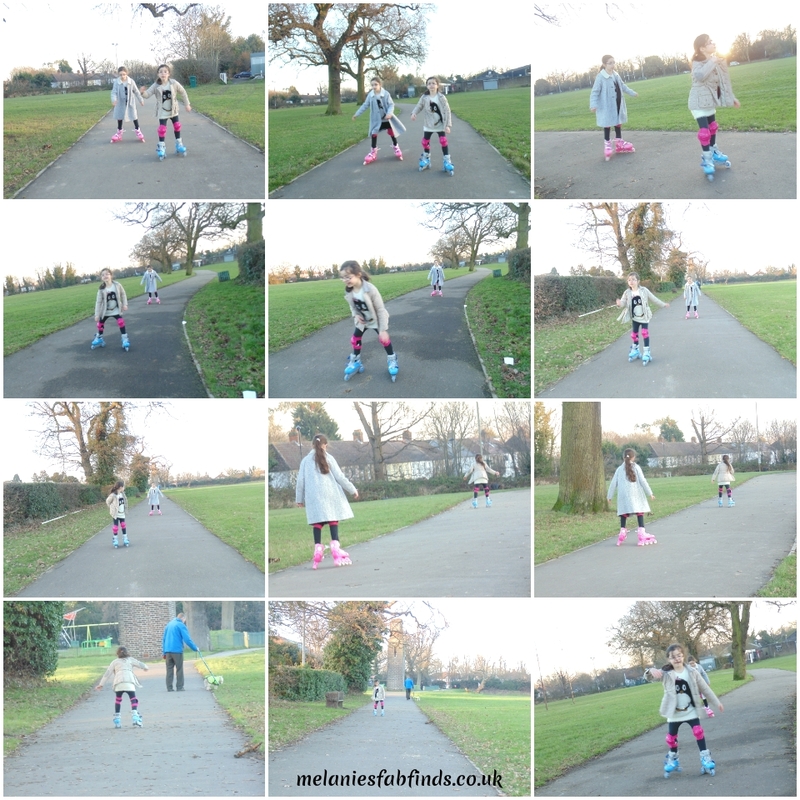 My kids adore scooting around and it’s such a lovely way to get them outdoors and active. I love roller skating, haven’t done it for a few years but it is also a good exercise! I still shudder at the thought of being on skates, literally couldn’t skate for toffee when I was young. These are gorgeous scooters! Seems like your daughters are having a lot of fun! Now i remember my childhood days. haha! The scooters and skates / blades all seem great. They are fun aren’t they I think it will be great for me to have some too. I used to love skates when I was little. You have to make sure you find a good area to blade on though as nowadays there are so many potholes and cracked pavements about. Always make sure the kids wear their safety equipment too even though often they don’t want to. I loved skating as a child, wish I could do it now but have gammy knees. But my great nieces would love these. Great giveaway! My kids all have scooters and it is great to see them using them outdoors! It is great to get them out enjoying themselves and of course getting some exercise. love the skates. takes me back to being little and skating round the close i lived on. loved it! I’ve just invested in a bike for this exact reason but I also really want a scooter of my own as they look really fun! They do look super fun and I know my girls love theirs. A lot of fun but be sure that you ahve all the safety stuff to avoid all the drama ! I’ve not tried either yet. Hoping to get some by the Summer. I really want one of those adult scooters so i can keep up with my son on the school run! Lol, they do love to whizz down the road don’t they.